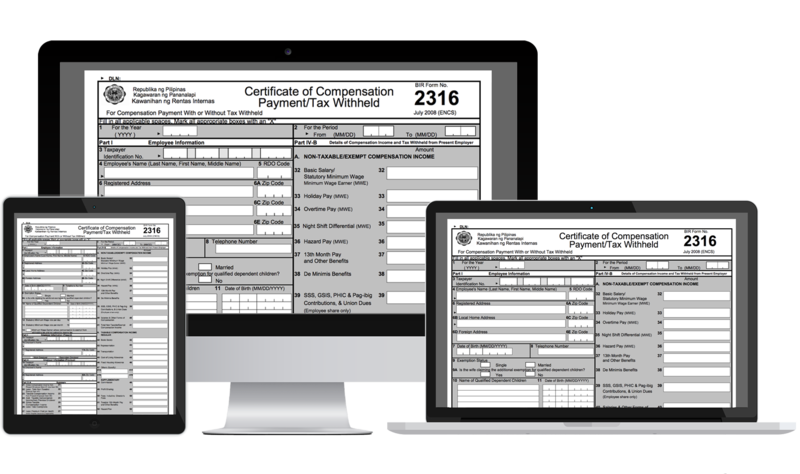 BIR form 2316, or also known as Certificate of Compensation Payment or Income Tax Withheld is a yearly certificate that needs to be issued by the payor to employees whose subject to declaration of final tax. Form 2316 shall be filed by the employer acting out as the payor for employees within a business. The employer should indicate the total amount that was paid to employees, as well as the taxes withheld during the course of the calendar year. These forms needs to be accomplished with employees on or before January 31, after the year that the payment was made. For employment termination purposes, Form 2316 needs to be issued the same day when last wage pay is settled.